A one of a kind artisan necklace in an impressionist style. This one takes my breath away! 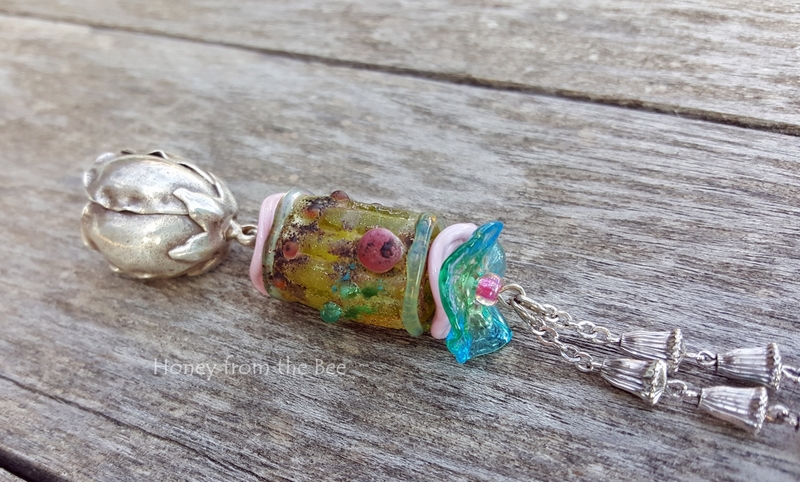 The focal artist bead is by Pipyr Dooley. She no longer does lampwork, as she was bitten by the weaving bug. However, I purchased several of her artist beads directly from her. Ones she had difficulty letting go of, so I am very lucky indeed! The focal has a slight shimmer with yellow, teal, rose colors. 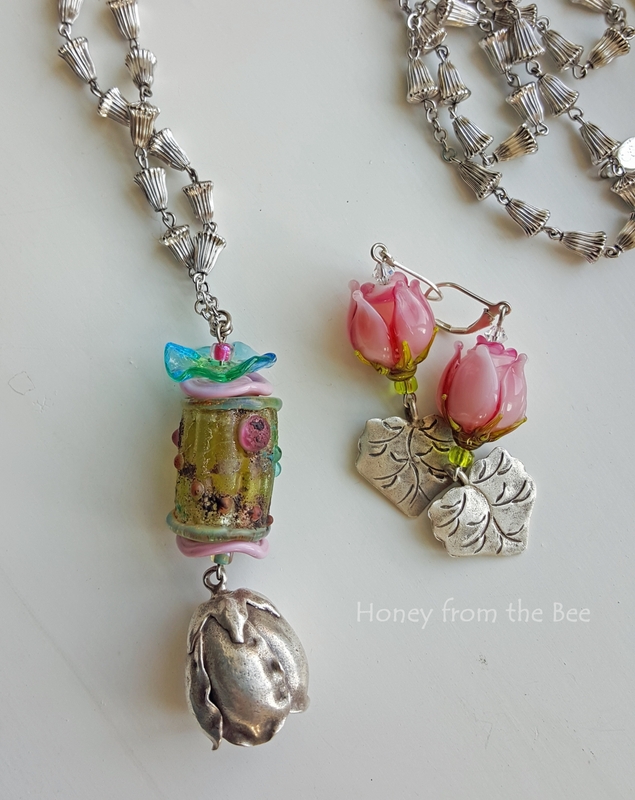 I've added fairy flowers and dangled a detailed Sterling Silver rose bud by the Karen Hill Tribe of Thailand. There work is exquisite as you can see in the photos! The 28 inch chain is a vintage rosary called silver bells. It is not silver, but stainless stell so it will always be shiny. There is no clasp. It just slips over your head. 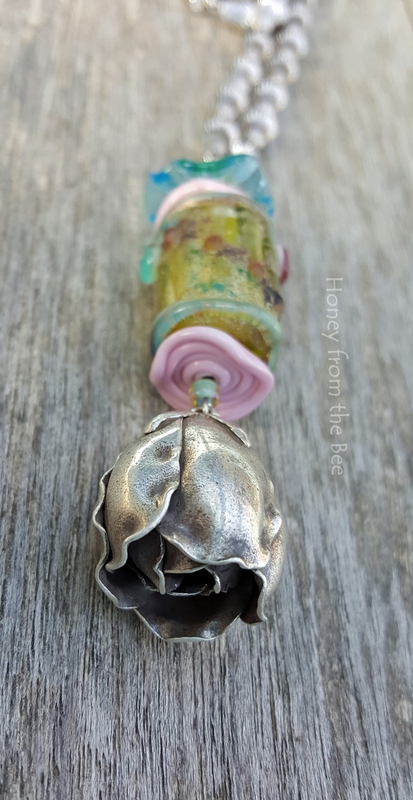 The pendant is about 2.75 inches long from the top of the bail to the bottom of the rose bud. This tunic length is very popular as you don't have to worry about neck sizes or necklines. The earrings pictured in the last photo are available separately here.